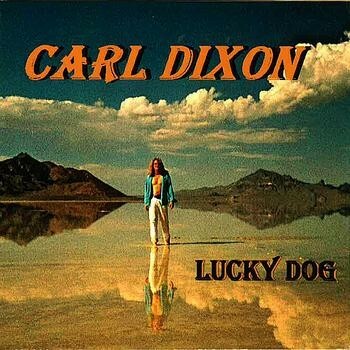 Canadian singer/songwriter Carl Dixon is living proof that you never quite know what fate has in store for you. Having been in the right place at the right time, he’s been a member of three classic bands in his native country: Coney Hatch, The Guess Who and April Wine. Then in April 2008, in Australia, he found himself in exactly the wrong place when his car was involved in an almost fatal head-on collision. The medics on the scene didn’t think he’d pull through and after several days in a coma the original prognosis was possible brain damage, arm and leg amputation and total blindness, not to mention the external and internal injuries and broken bones. However, these Canadians are made of sterner stuff and within a few months he was playing a short acoustic set for the hospital staff, learning to walk again and planning a new album. Now, three and a half years after his horrific accident, not only is the album finished but he’s back doing solo shows and even put Coney Hatch back together last year for some reunion shows, one of which will be at Firefest very soon. 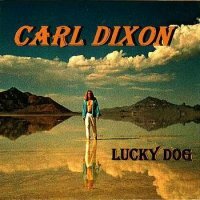 Considering these circumstances, it’s not surprising that ‘Lucky Dog’ is quite a personal album with many autobiographical songs, and while it’s a laid-back, mostly acoustic affair and a real departure from what he’s known for, it’s also upbeat and positive mixing rock, pop, country, jazz and a little blues. Opener ‘Lost In Time’, has a lots that will be recognisable to anyone who’s followed his career: catchy melody lines, great groove and storyline lyrics that surely most people of our age can identify with. Similarly ‘Beyond The Open Door’ has a deep lyric and some electric guitar, and most fans will be familiar with ‘Treacherous Emotions’ from his ‘One’ album, here re-imagined acoustically with a liberal dose of funk. There are some great pop songs like ‘Mercy’, with distinctive female vocals by ‘The Lonely Petunias’, the heartfelt ‘Long Lost Friend’ and the largely unknown ‘Hand In Hand’ by Badfinger’s Pete Ham - the only non-Dixon original here. Elsewhere you get the quirky ‘You Look So Cool’, the countrified ‘It’s A Wonder’ and the rather jolly ‘Thought It Would Be Fun’ which is actually about rushing into an ill-advised marriage (something Carl has first hand knowledge of). He seems to be singing better than ever so I feel he’s at his best when he strips things back even further: the simple acoustic guitar and vocal of ‘Faithful’, ‘Don’t Buckle’ and the brilliant ‘The Point Of This Life’ all being prime examples. That just about covers it, apart from one song, and ‘Stitches, Sutures And Staples’ is nowhere near as maudlin as it sounds and puts a positive spin on things, the way people who have a near death experience sometimes do. With guests that include his usual solo band members, drummer Mark Santer (Santers) and bassist Tim Harrington (Wall Of Silence/Honeymoon Suite), this fourteen track self-produced album may be a little too subtle for some fans of his hard rock career, but the broad-minded should find plenty to appreciate.